Bethesda chatter the last few weeks has largely centered around the two big games they’ve announced: Fallout 76 and Rage 2. But company brass says there are still surprises in store for their E3 event, hinting that at least two as-yet-unannounced games will feature in Bethesda’s press conference tomorrow. While you wait for Bethesda’s showcase, check out our list of the best RPGs on PC. Another fan asked more directly whether Bethesda had any more surprises in store. “Definitely, more than one,” Hines replied. So in addition to presumably showcasing more of Fallout 76 and Rage 2, Bethesda apparently has at least two announcements up its sleeve. We could always wait until tomorrow to find out what, but in the meantime, let’s speculate! With the Fallout universe covered, obviously fans are eagerly anticipatingthe next Elder Scrolls title. Hines confirmed in 2016 that one would eventually be on the way, but that it wasn’t in development at the time. But it’s been two years since then, so it’s certainly possible that the next adventure in Bethesda’s tentpole fantasy series will be unveiled at the E3 event. As we know now, id Software has been working with Avalanche Studios on Rage 2, which makes the likelihood of a sequel to 2016’s Doom a bit on the low side. That’s not to say it’s out of the question though, and after the success of the reboot it’s hard to imagine Doom 2 not being part of Bethesda’s plans. they’re not, but when it’s all said and done I think we’ll manage to offer lots of surprises you’ll enjoy. There’s also Arkane Studios’ Prey, which seems set to receive a moon-focused DLC, based on some teases the studio posted in May. We’re almost guaranteed to see something concrete on this at tomorrow’s event. 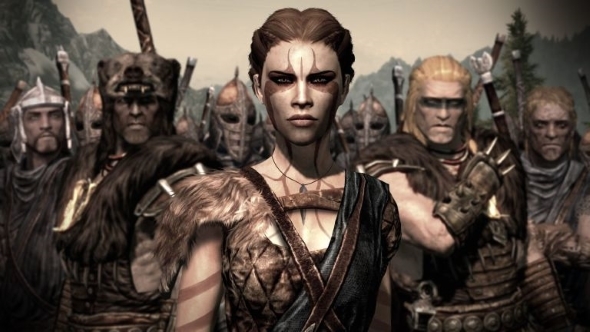 Last year, Bethesda said it was working on a “fremium triple-A game” alongside The Elder Scrolls 6, and we may well find out what that is at the press event as well. Whether that’s Fallout 76 or another game entirely is an open question, at least until tomorrow night. Bethesda’s press conference kicks off tomorrow at 18:30 PST, so set a reminder and save a sweet roll to munch on.